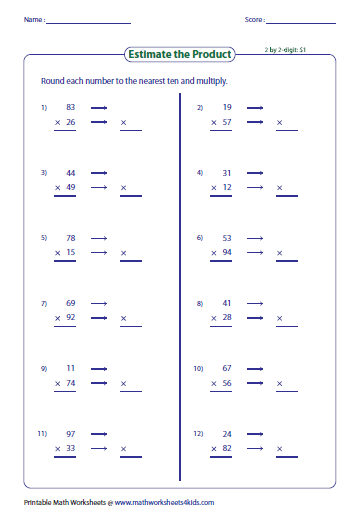 Estimating product and quotient worksheets contain exclusive worksheets on rounding numbers to the nearest ten and hundred, rounding the leading digits to estimate the product, MCQs to choose the best estimate, comparing quotients and many more. Round the first factor to the nearest ten and multiply to estimate the product. 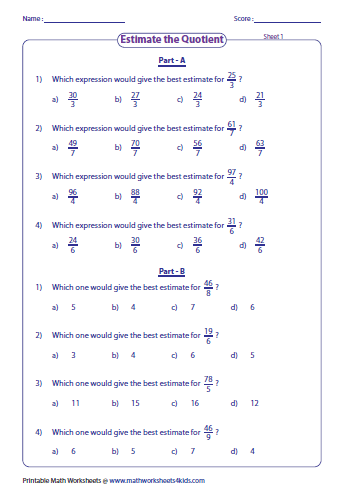 Nine exclusive estimation worksheets have problems to round each factor to the nearest ten and multiply to estimate the product. Estimate the product by rounding the first factor to the nearest hundred. 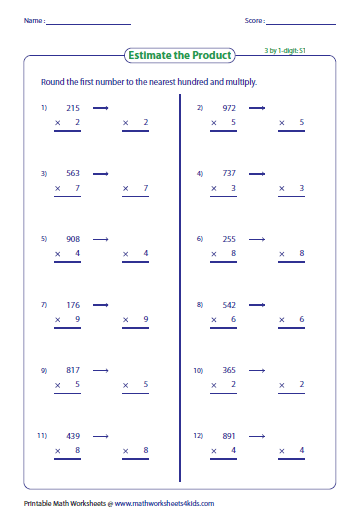 Six worksheets are given here for practice. Round each factor to the nearest hundred and multiply to estimate the product. 3-digt and 4-digit factors are used. 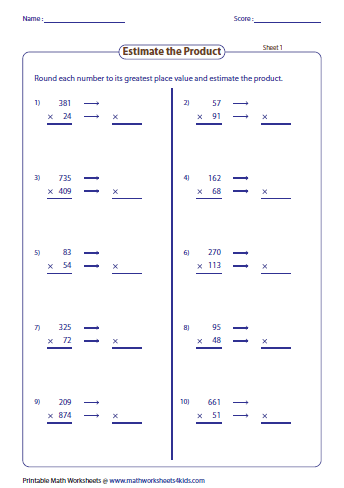 Round the numbers to the greatest place value and estimate the product. 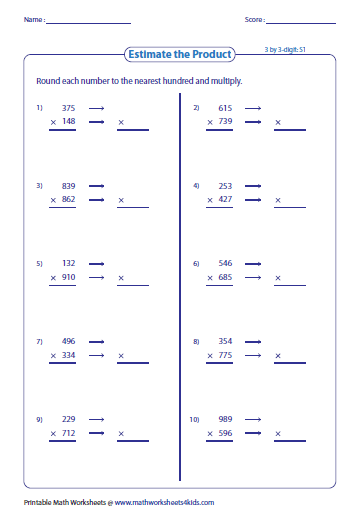 Children can practice these mixed-digit problems. 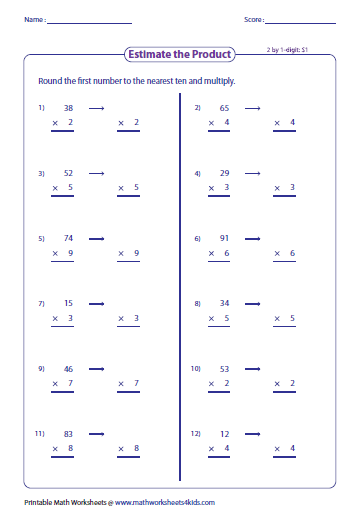 Each worksheet has eight multiple choice questions estimating quotients without actual division. Write correct symbols to make the statement true (< or >). Use estimation technique to compare the quotient and a whole number in section A. 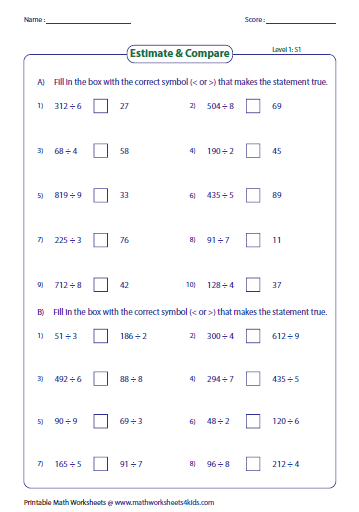 Estimate and compare between the quotients in section B.